Photography for toddlers requires patients from all of the grownups that are in their lives. They are “little people” and like to have fun. 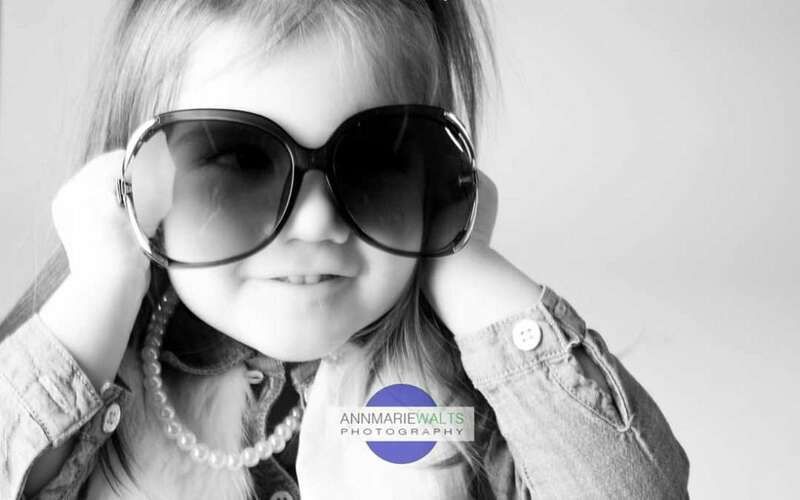 Morgan wanted to play with her mom’s sunglasses……and so that is exactly what we did! I find that is best to bring some of their favorite toys, stuffed animals and/or their favorite blanket. The smallest comforts of home can really be helpful when they come into a professional photography studio. Naps & Full Belly….a must. I am a mom (of a teenager, now), and I find that a little bit of planning can really help with your child being able to have a good time, at their photo-shoot. A well rested and feed, little one…..maybe more apt to not feel overwhelmed by the new experience of working with a professional photographer. Fun Portraits are not forced! When I work with my little clients, I anticipate the unpredictable. They move quick, and usually do not want to sit still. That is ok, and especially if they are 2 to 3 years old. Their world and curiosity level is growing. Some of the best photographs are simply capturing them…just as they are.